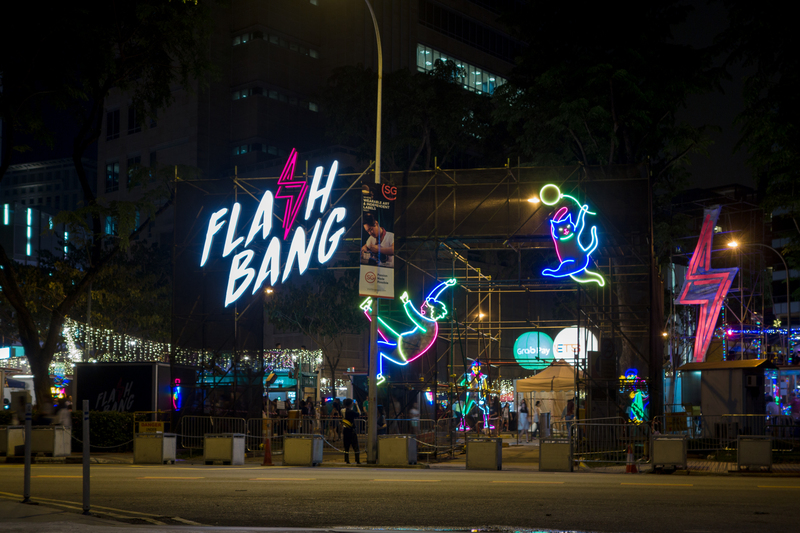 Remember Flashbang Singapore, the neon lights street market that happened last year? Yep,o the street market that had all your friends hunting for neon lights so they can show them off on Instagram. It was also the event that sparked a debate on fair compensation for artistes and buskers. The organiser, Invade has since apologised for the matter, but it still continued to receive harsh criticism from netizens. We sat down with Invade’s founder, Kent Teo (33), to learn about their side of the story and their actual intentions behind that email. I asked Kent what their initial reaction was when they saw this, and he let out a sheepish chuckle. We asked ourselves, ‘Why did this happen? Did we do something wrong?’ We were so focused in trying to make the event successful – we were sourcing for vendors, F&B retailers, and applying for licenses that took up to two weeks to get. But Kent could understand the backlash and the anger directed at them. 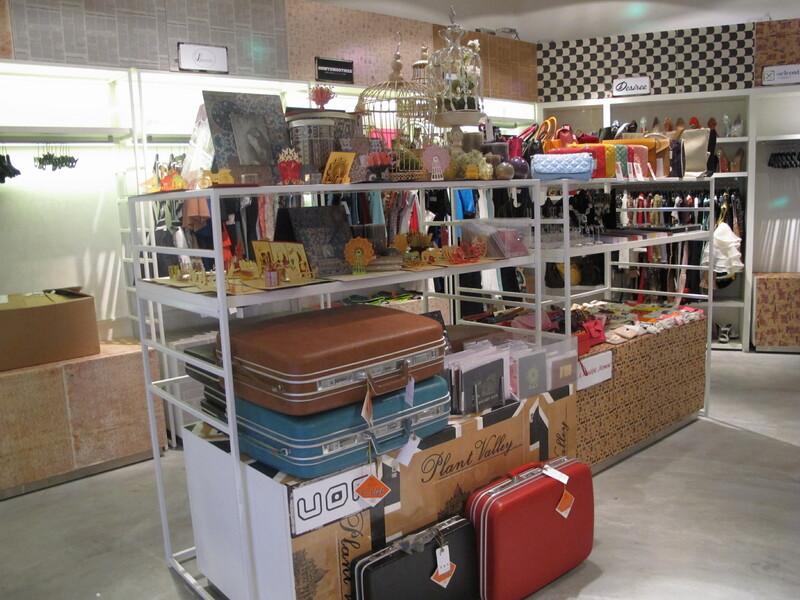 “All this while, we have only organised retail events like pop-up stores and flea markets. It was very different from what we were used to handling,” Kent said. Right after the incident, he had his team draw up compensation for all of the performers they reached out to. Amanda Tee’s post was about one week before the opening of Flashbang Singapore on 9 December 2017. I asked Kent if there were any performers who withdrew from the event after the incident, and he said there were none. “Those who were confirmed, we went back to them and compensated them,” he added. But this incident was just one of the other problems they faced while organising Flashbang. Kent went on saying that he had “always wanted to do a neon lights street market” unlike Artbox, so when they were made aware of a space by the Singapore Tourism Board (STB), they took it up despite knowing they only had 45 days to organise Flashbang. “Plan one wedding also not enough,” he joked. As Flashbang took place in a multi-storey carpark building, Kent said there was no water or power at all. STB told them that there would be no provisions for water and power, but they linked them up with nearby buildings that could help, namely Pan Pacific Service Suites and Orchard Building. Kent told me they had to build a water tank for the F&B vendors, pay for the water they used, and bring in large industrial-sized power generators that cost $100,000 for the period of time – and that figure didn’t even include the diesel used to run the generators. As the carpark is public property under the Urban Redevelopment Authority (URA), rental was also “insane” because it’s located on Orchard Road. Given that it was in an area with high footfall, the Singapore Police Force (SPF) had also advised Kent and his team to implement security measures. So, they consulted their contractor for security and Cisco based on the plans SPF provided, and the initial quote came up to $200,000. “We thought that we should differentiate Flashbang apart from Artbox and the regular fleas we run. So, we had to come up with a different physical concept. We were referred to a shelter company who initially quoted us $100,000,” he added. The total cost came close to $1 million. He explained that there were 100 stalls for the duration of 22 days. And even if all the stalls were taken up, their revenue would only be $400,000. When I asked about the turnout, he said there were 15,000 visitors the first day, but because of the rain, people couldn’t get in the space easily. Kent commented that Singaporeans tend to “prefer something fancy like Artbox” because it’s a well-known event from Thailand than a something from a “homegrown brand” like Flashbang. 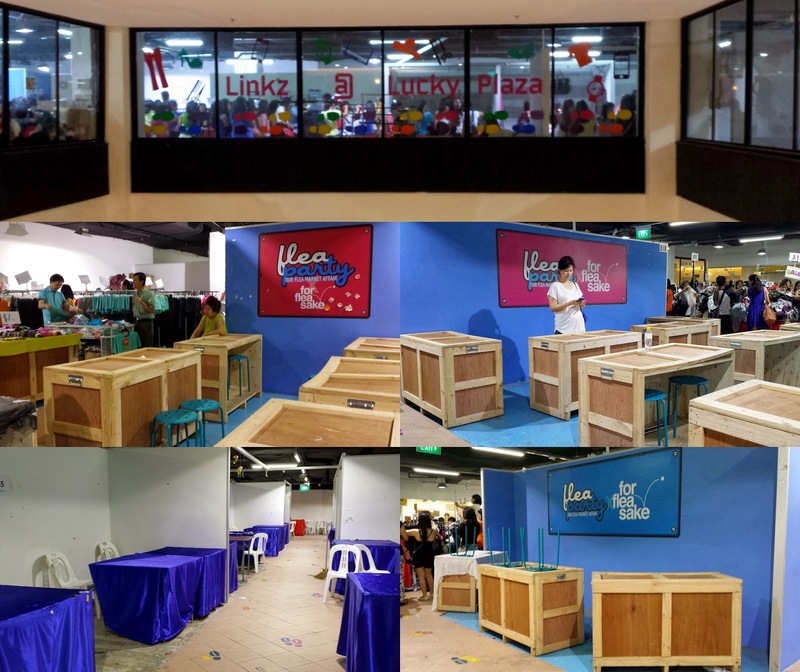 A little bit about Invade: it houses four different brands, Fleawhere, Artbox Singapore, MOX, and now Flashbang Singapore. Fleawhere, previously known as For Flea Sake, organises flea markets and acts as a platform for vendors to participate in these fleas they conduct, and markets for these vendors. 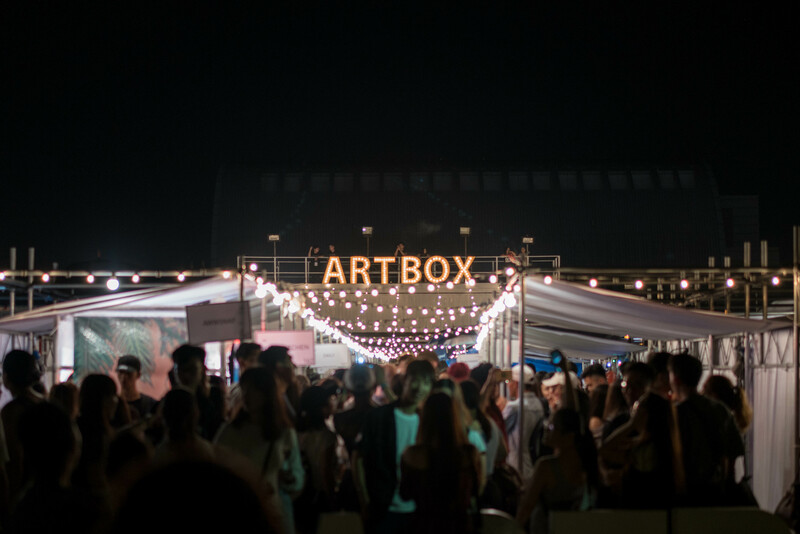 Artbox Singapore and Flashbang Singapore are consumer-focused lifestyle events. Finally, MOX is a coworking space for businesses and creatives to work together while creating an experiential retail experience for walk-in customers. It all began when Kent and his girlfriend rented a booth in a flea organised by SIM in 2010. “I noticed that the letters ‘k’ and ‘j’ were the most popular, based on my sales. So I jacked up my (selling) price for these letters to $4 or $5, while the rest were $1 or $2,” he said with a laugh. His ex-business partner wanted to create a company that organises futsal events, but Kent thought it wasn’t feasible. His girlfriend then suggested organising flea markets, to which he was also skeptical about, because there were already strong competitors in the market like Flea Fi Fo Fum and What The Flea. “I thought, ‘Wah, so competitive! You sure you wanna do?’ But we did it anyway. We collaborated with Flea Titan and leveraged on them,” he said. For Flea Sake was born in the same year, and the first flea market they organised was a success. Their break came when *SCAPE appointed them as the official organiser. They occupied *SCAPE Underground for two years and grew from there. For Flea Sake rebranded to become Fleawhere at that time, and that was when they came up with the ‘shop-in-a-box’ concept. “As Fleawhere (organised fleas) on an ad hoc basis, we had retailers like The Tinsel Rack, who grew with us too, telling us that they were looking for more permanent retail solutions,” he said. That was when they did Space Invasion. They had 1,000 sqft. of space at The Cathay Cineleisure, where they made racks and shelves for retailers to display their wares. Kent called it a “primitive business model” and like a mini department store. They subsequently opened Space Invasion at I12 Katong. But they faced a number of challenges in those two years. (Space Invasion) made me realise that retail is declining – sometime in 2012 or 2013. We broke even in our first year but we burned $8,000 to $10,000 a month, so we lost $60 to $80,000 in the second year. It was a new idea to landlords but they approached them anyway. “A lot of the landlords were initially reluctant because it’s only natural for them to want permanent tenants. Only when they have pockets of unwanted spaces, they would look for us. It was like we were plugging in the holes for these landlords,” he explained. As they were doing marketing for these retailers, they had to source for influencers to get the word out about them, so they decided to set up a social media influencer agency Mousetrap. Unfortunately, it didn’t take off, and Kent and his ex-business partner decided to separate, with the latter taking over Mousetrap, and Kent building on Fleawhere and Space Invasion before transferring all the assets over to set up Invade in 2014. “It was all bootstrapped – my ex-partner and I started with zero,” he laughed as he recounted the starting days of For Flea Sake. We were clueless and impulsive. As a founder, I learnt that no matter how much planning I make, or how many plans I write up, nothing will go as planned. So I would just go ahead and do it, then learn from failures. Since starting up from For Flea Sake, Kent revealed that they now have 40,000 subscribers. They grew from $10,000 to nearly $3 million in revenue after their 2017 year-end closing. He told me they were fortunate to have “made a lot of new friends” who were happy to support them in their future projects. “Call me crazy lah, but I am just so passionate about retail. I learnt so much about the retail industry and the rejuvenation of Orchard Road,” he gushed. It was only until Kent organised Flashbang, his “22-day shopping mall”, that he got to fully experience for himself the pains of the landlords and business owners from Orchard to Somerset. 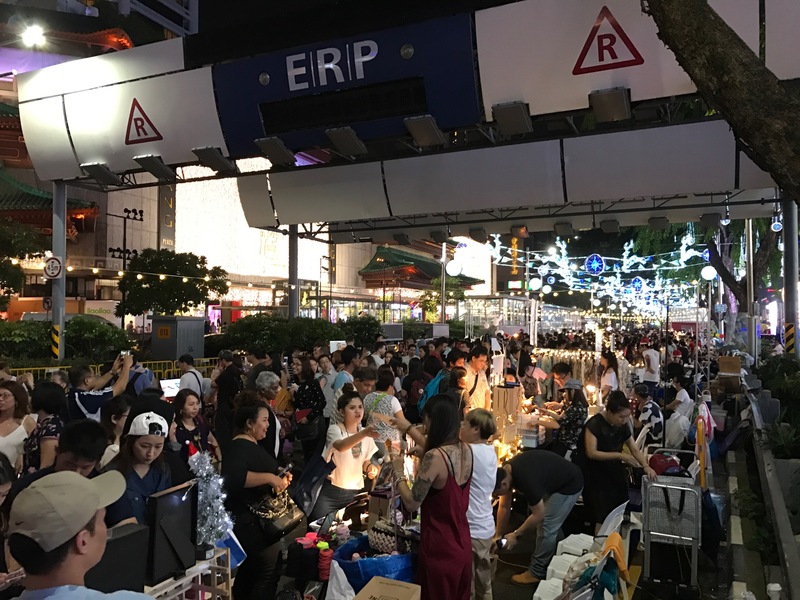 He thinks it will require a tripartite coalition between landlords, government agencies, and retailers and believe they must “enter into a dialogue session” to overhaul and rejuvenate Orchard Road. Kent finds this “exciting because problems come with opportunities”. There were suggestions to close Orchard Road and organise a festival but Kent is skeptical that it will take off in the long run because he thinks novelty wears off fast with Singaporeans. The topic at large is what comes after hosting that festival. Flashbang is all about empowering creative retail. We believe that retail can be immersive, fun, and experiential this way. 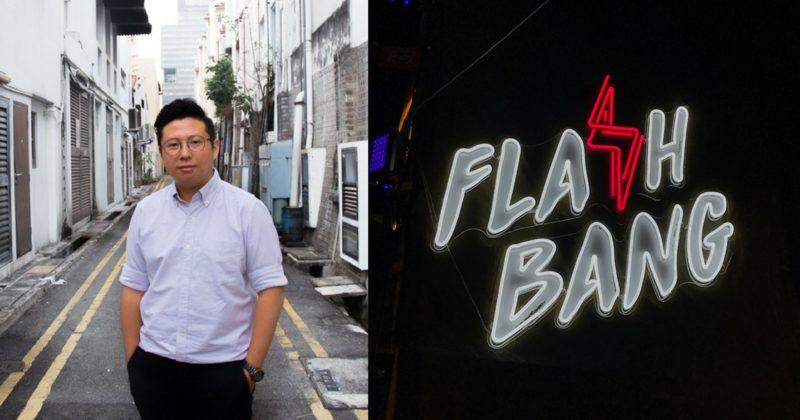 Another round of discussion with landlords have sparked talks about bringing Flashbang to Hong Kong and Brunei, and Kent revealed that they have started receiving invitations from these places and Malaysia and even USA. Kent confirmed that there will be a Flashbang USA, and have plans to open a second MOX in town or the CBD area with the hopes of it becoming an alternative entertainment hub. Kent also confirmed that Artbox and Flashbang will be happening again this year. Details for Artbox are being confirmed, but he said it will be twice the size of the previous one and will have more retail “content”. “This is like back when I started. Don’t forget your roots. Just do first, just go ahead,” he shared.